Agius was contracted as a freelance illustrator on the Central Coast (NSW), working as background artist on a 26 part series titled 'Prisoner Zero', for animation house Planet 55 Studios. 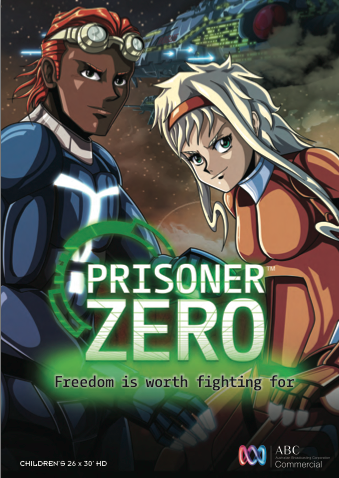 Prisoner Zero is a fast-paced, animated sci-fi, action-adventure series aimed at children aged 8 -12. The ABC series went live April 2016. For the Book Launch 'LOVE IS A CARELESS SEA' by Daevid Allen (Gong, Soft Machine, University of Errors) at Darkmoon pop-up art space. Special guests Third Sky Collective (Flamedog Records, Rebeka Phoenix), William McElroy (The Wild Zinnias), Billy & the Machine and Dj Boutique. Music by Mother Gong, Wild Child. Last event for Dark Moon pop-up art space at it's Burleigh Heads location. 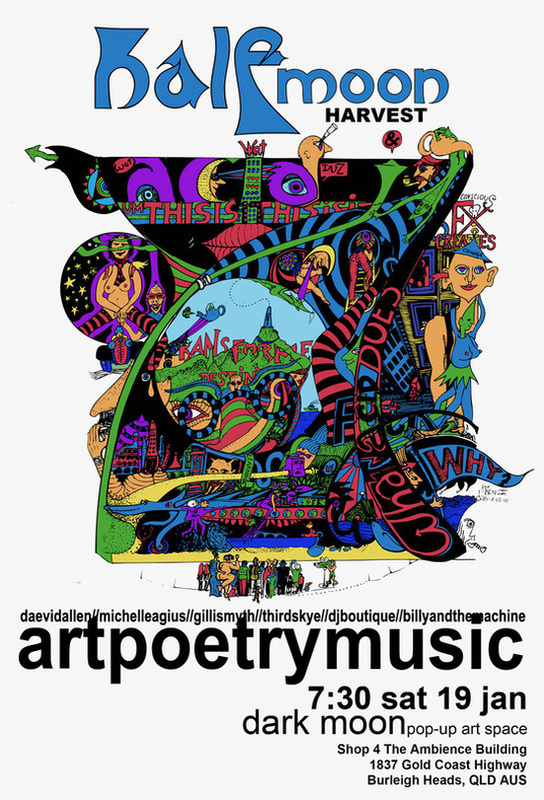 Visual artworks by Daevid Allen and Michelle Agius. Performances by Daevid Allen, Gilli Smyth, Third Skye and Billy & The Machine with funky eclectic beats by Dj Boutique. Dark Moon pop-up art space, The Esplanade Burleigh Heads. 176 Wickham St Fortitude Valley, Brisbane. ​Agius was awarded a Diploma of Honour for her contribution to Art & Culture For the exhibition 'Mostra Europe 2008'​ Galleria Centro Storico, Florence Italy. In a society ever more dehumanized by the suffocating dictatorship of computers and machinery, art, as a product of its own age, has to somehow deal with the pulling strength of the evolution of technology. Now more than ever, to be relevant to there time is for artists not just a duty but also a necessity. It is difficult for artists to trigger interest from a general public so used to the fast and demanding rhythms of modern life if they do not use artistic methods of expressions of the same pace to accomplish immediate fruition. This doesn't mean one has to create a “fast-food” of works of art or a “junk art”, that is “consumed” and disposed of with reckless voracity, in a complete annihilation of any capacity of critical approach and aesthetic enjoyment. Instead, one has to bend the opportunities afforded by technology to one’s artistic needs. One has to accept its contents and embellish its form. That is what Michelle Agius’ activity is about. She is a young and talented artist who interprets with acumen and profound critical ability the complexities of contemporary time. Agius expresses her life and world vision both through traditional artistic means such as abstract painting and intuitive drawing and through computer-aided photography. This variety of expressive means allows her to elaborate several artistic creations that, though different in shape, are faithful to the uniformity of their content. An artist’s role is not to dominate shape, but to adapt it to its content. Names such as Freeing Spirit, Fire, The Head and the Heart, The Elements of Air immediately relate to the sources of Agius’ inspiration: herself, her own inner world and her own Ego. Investigated as an integral part of the mystery of existence and at the same time, the universe and its elements. 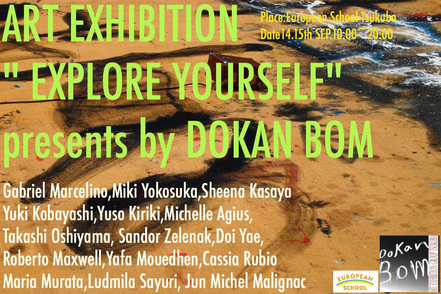 The artist feels no distance between herself and the world. In fact, she looks at her body and spiritual identity as if they were but a detail of one grand design that sketches the universe’s profile. From this descends that Agius, with equal interest and critical spirit, represents herself and life around her. She manages to find, in her own individual experience, the possibility of one universal vision: as part of a whole, man being a participant of the infinite dimension of the universe that holds within himself fragments of the mystery which is the origin of the world. Her research appears to be directed towards deciphering this mystery. She is fully aware of her vulnerability, of her simultaneously being and not being, of seeing through things and losing herself in the inability to decipher each imperceptible mood variation and concealed corner of the unconscious. For artists, to know themselves is like overcoming their individual dimension in order to develop the ability to “look at themselves from the outside”, not with their own eyes, but with the eyes of the world. And when the artistic creation becomes a vehicle of inner knowledge, the work of art loses its self-referentiality and its nature as an object to turn into the shape of the spirit.